We are hoping that Spring shows up here soon. Spring came in like a lion, and seems to be heading out the same way. Rubber boots are still the order of the day. 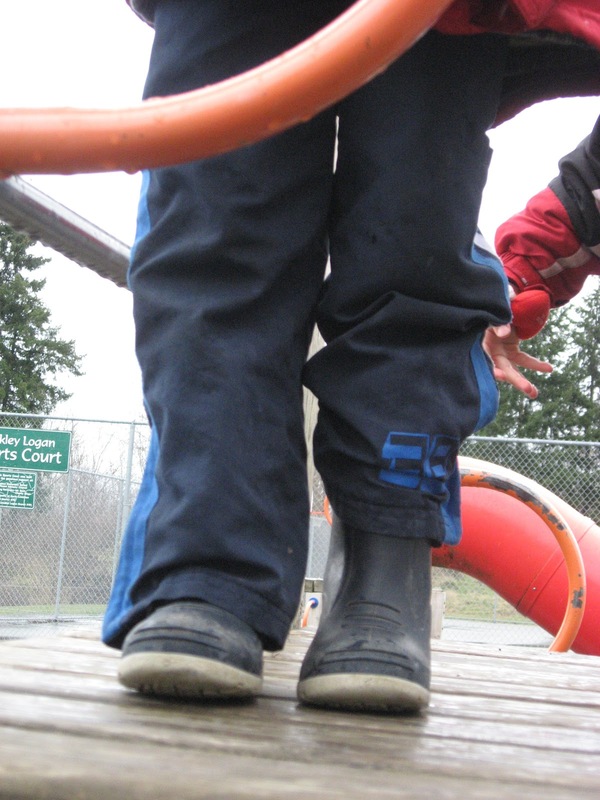 Here's what those rubber boots were spotted doing on the playground. 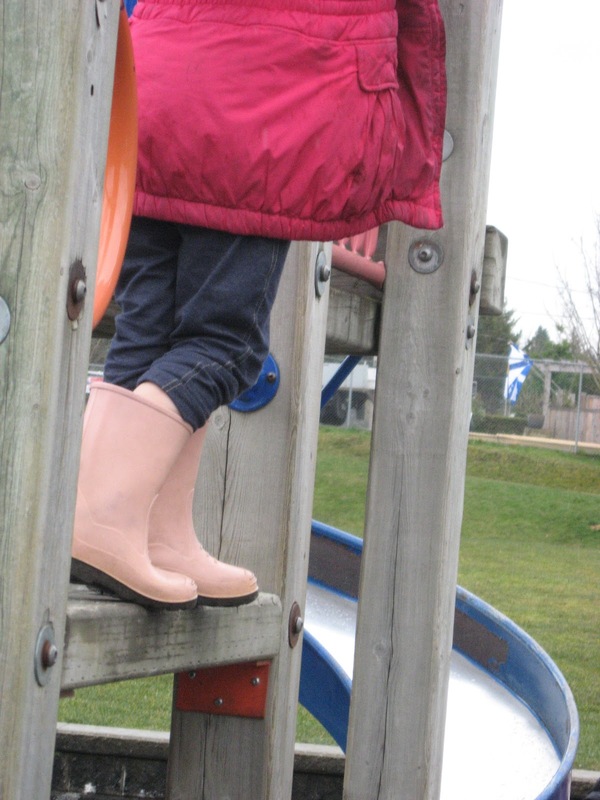 How great that you encourage students to wear rubber boots so they play outside no matter the weather. 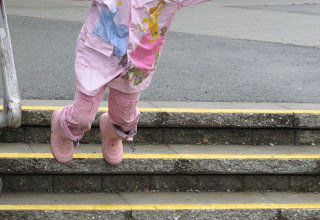 Thank you for linking up to The Outdoor Play Party. Lol, what cute pictures! I remember wearing my rubber boots EVERYWHERE in all seasons as a child. Now my girls love to wear theirs, too. The little one even wears them all around the house - best paired with jammies with underwear over the top of them! Thanks for linking up to the Outdoor Play Party - this post made me smile! Mama Pea Pod - jammies, underwear on top and rubber boots - now that's a kodak moment. The 80s Madonna look with a twist! When my son was young (he is now 17), he wore his rubberboots in all seasons and with all clothing, where ever we were going. 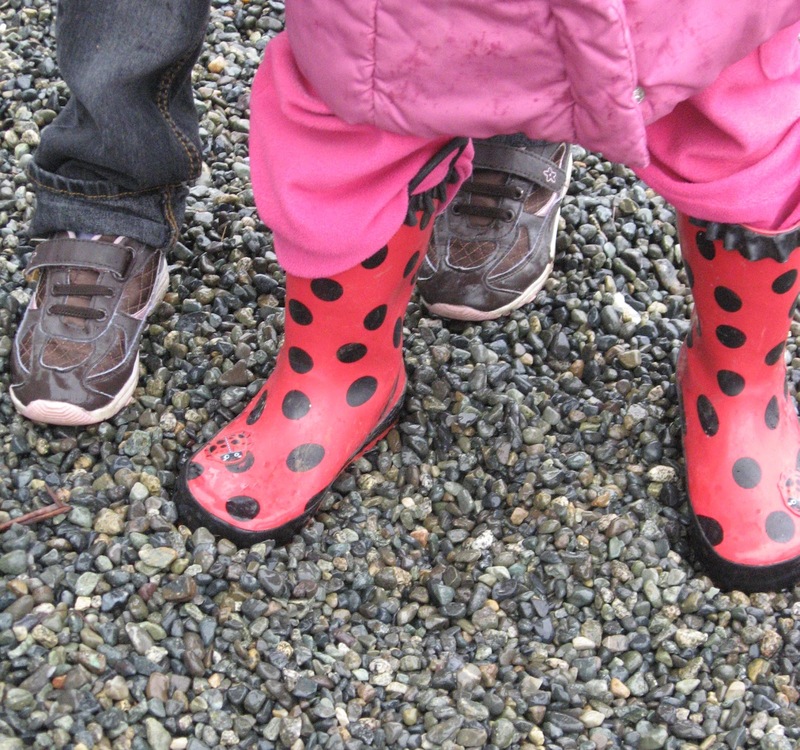 Rubber boots give kids independence and freedom to play, and in my mind, that's golden.